Located a very short walk from Colchester North station with its mainline links to London Liverpool Street, ideal for the working professional, this spacious three bedroom top floor apartment forms part of this popular modern development, being set within striking distance of North Station and Colchester General Hospital. Offering three bedrooms with an ensuite to master, spacious lounge and modern kitchen, this apartment must be viewed to be fully appreciated. Outside there is one allocated parking space. Also offered on a chain free basis. Call us now to view. http://www.rightmove.co.uk/property-for-sale/property-66990968.html?premiumA=true · Sale price - £199,995 · Rent achievable - £850pcm · Potential yield – 5.1% For further information on this property or any other investment opportunity please contact the team at Michaels today. Michaels Property Consultants are pleased to be offering for sale two apartments with excellent potential yields. The Coach House, Colchester – · Sale price – Guide Price £125,000 · Rent Achievable - £650 · Potential Yield – 6.2% A perfect opportunity for any investor has arisen with this fabulous, newly built one bedroom apartment located within walking distance of two of Colchester's stations (Colchester Hythe and Colchester Town) with direct links to London Liverpool Street, Colchester Town Centre and a short walk to University of Essex. The property is well presented throughout and features a double bedroom with a ensuite bathroom, open plan and contemporary kitchen & living space and comes with gated allocated parking. No onward chain. St Peters Street, Colchester – · Sale Price – OIEO £130,000 · Rent achievable - £695 · Potential Yield – 6.4% A superb investment opportunity has arisen within this spacious one bedroom apartment forming part of this popular development, set adjacent to the River Colne and within striking distance of North Station and the Town Centre. The property is offered with a tenant in situ, currently contracted until July 2018, maintaining the property beautifully and paying £615pcm - an excellent yield. The property features a private entrance hall, a spacious living room which opens to a modern fitted kitchen, a large double bedroom and sizeable bathroom. Furthermore, there is allocated parking, accessed via secure electric gates. Stuart House itself also enjoys the unusual benefit of a superb resident's gymnasium and a fabulous communal conservatory. Viewing highly recommended. For further information on either of these exceptional investment opportunities please contact the Michaels team now. Despite the doom and gloom and the hysteria surrounding last year’s referendum vote and the snap general election earlier this year, experts are still predicting growth within the property market. Analysis from the first two quarters of 2017 show progress in the market. This piece was written by Guardian business reporter Julia Kollewe. Growth in UK house prices has slowed but remains close to 5%, with faster growth seen outside London, according to official data. House prices across the country increased 4.7% in the year to May, hitting an average of £220,713, the Office for National Statistics said. The annual rate fell from 5.3% in April. Between April and May, prices were up 0.5%. House values rose in all regions, with the east of England still growing at the highest annual rate, of 7.5%, followed by the east Midlands at 7.2%. Analysts at Jefferies said: “Despite the election and consistent doom-mongering, we note that house prices continue to increase.” The north-east registered the slowest annual growth, of 1.6%, followed by London at 3%. Prices in the capital are still more than twice as high as the UK average, at £481,345. The most expensive borough to live in was Kensington and Chelsea, in west London, where the average property cost £1.5m. In Burnley, Lancashire, the average house cost £78,000. James Allen, head of alternative investments at financial services firm Walker Crips said: “It is clear that prime London may as well be a different country.” He added that buyers in Kensington and Chelsea would need a deposit of £450,000, based on a mortgage at 70% loan to value. “For a one-salary household, gross income would have to be £222,000. The number of people in the UK earning more than £200,000 is estimated to be 235,000 or 0.7%. When such a small proportion of the population can afford to live in a borough, demand must be coming from other quarters, namely foreign buyers.” The ONS uses data from the Land Registry. Its annual house price growth has slowed since mid-2016 but remains faster than the 2-3% growth reported by major mortgage lenders Halifax and Nationwide in recent months. Analysts believe that a fresh slowdown is under way. Samuel Tombs of consultancy Pantheon Macroeconomics is predicting that annual price growth will slow to 1.5% by the end of the year. He argued: “Lenders are reporting that they will lend less in the third quarter and the recent pickup in wholesale funding costs suggests that they will not continue to cut mortgage rates. Meanwhile, the recent deterioration in consumer confidence, largely in response to the intensifying squeeze on real incomes, has made households less willing to make big ticket purchases.” The number of homes sold in the UK slumped 41% year-on-year in March, largely because the March 2016 figure was boosted by buyers rushing to complete before stamp duty changes the following month, the ONS said. In London, transactions fell even further, by 57% (and 62% in inner London). The housing slowdown means that the average home in Britain has increased just over £3,000 in value (or £16.79 a day) since the start of the year, according to analysis by Zoopla. The property website found the typical home was valued at £304,469 as of 30 June, £3,309 more than in January. 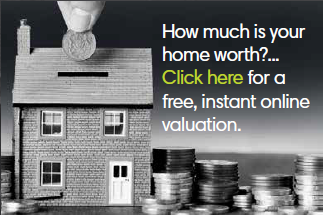 By contrast, the average property value increased by £13,852 in the same period last year. Belper in Derbyshire, Hove in East Sussex, Todmorden in West Yorkshire, Woodbridge and Sudbury in Suffolk are the towns that have seen the fastest house price growth since January, between 6.6% and 7.4%, according to Zoopla. Bexley and Swanley in Kent, Langport in Somerset, Worcester Park in south-west London and Holyhead in Anglesey round out the top 10 property hotspots, with price growth of more than 6%. However, values vary widely among the hotspots, from £152,840 in Todmorden to £492,850 in Worcester Park. Richmond in North Yorkshire, Leatherhead and Walton-on-Thames in Surrey, and Altrincham in Manchester were identified as cold spots, with the biggest percentage falls in values – at around 5%. Pwllheli in Gwynedd, Weybridge in Surrey, Southwell in Nottinghamshire, Ellesmere Port in Cheshire, Burnley and Pontefract in West Yorkshire have also seen prices fall since January, by more than 4%. Doug Crawford, chief executive of conveyancing website My Home Move, said that despite the slight slowdown, “the housing market is still simmering away nicely. Even though the overall growth rate has fallen, for first time buyers the slower rate of house price growth will be welcome, particularly with inflation running ahead of wages for many.” However, recent research conducted by his firm found that average deposits climbed to £6,000 in the last year, with increases in some regions of more than 30%. Anne Baxendale of housing charity Shelter said: “While prices may be slowing in London, the idea of owning a home of your own is still just a fantasy for most people. “The government needs to change the rules of the game by introducing a fresh, new way of building homes that brings down the colossal cost of land and gives more powers to communities to deliver the genuinely affordable, high-quality homes that ordinary families are crying out for.” Rents are also going up. Private rents rose 1.8% in the year to June, the same rate as in the previous three months, according to an experimental rental housing index from the ONS. It shows rents rose 14.8% between January 2011 and June 2017, driven by London. If you have been worried about selling due to the media's perception of the market, this report shows you that there is still growth within the housing market and selling is still the right thing to do. For advice and guidance on the local property market please contact one of our experts today. A very interesting piece by the Guardians business reporter Simon Goodley. The UK housing market is shrugging off concerns in the wider economy following the Brexit vote, compounding problems for many first-time buyers still wrestling with the strongest year-on-year price rises in the market. There are more buyers and sellers in the wider market compared with the period around the referendum a year ago, with the number of sales agreed up by 4.6% in June 2017 compared with June 2016, the latest survey by property website Rightmove found. The company added that prospective buyers are “seeing a lot of sold boards on properties they would like to buy themselves” – with over 45% of estate agents’ property stock now being sold subject to contract. Meanwhile, cumulative sales agreed during 2017 are almost on a par with the same period in 2016, down by 0.4%, even though the first six months of last year was boosted by the rush to beat the April 2016 stamp duty deadline, the survey added. Miles Shipside, Rightmove director and housing market analyst, said: “A year on from the shock referendum result and subsequent dent in activity levels, the fundamentals remain strong. “Low unemployment, low interest rates, strong demand and historic undersupply of homes are mitigating any wobbles in confidence and as a result nearly half the properties on the market, over 45%, have sold signs slapped across them.” The monthly survey, which is calculated on asking prices rather than completed transactions, comes at a time of year when the property market is typically quiet, as buyers and sellers take a break from the spring selling season and households concentrate more on holidays than house buying. According to Rightmove, the seasonal slowdown in activity has caused the overall market to rise by just 0.1% last month, but while that includes a drop in prices for first-time buyers outside of London since June, the traditional blip in the market at this time of year has provided little solace for embattled buyers trying to get on the property ladder. The data shows that the national average asking price for people buying their first home has dropped by 1.7% since last month to £196,450, but that figure is still 3.8% higher than a year ago, while the first-time buyer sector is the highest riser in the market during 2017. Still, Rightmove cautioned that in spite of high demand and lack of suitable supply, stretched buyer affordability continues to act as a price brake. While all regions have seen year-on-year price rises, the national average stands at a “relatively subdued” increase of 2.8% to £316,421, the company said. The warnings about supply also dovetail with a survey from the Royal Institution of Chartered Surveyors (Rics) published last week, which showed that the average number of properties available per agency branch had fallen to an all-time low in June, at just over 42. Brian Murphy, head of lending for Mortgage Advice Bureau, added: “The average time to sell, standing at 60 days in this month’s Rightmove report, has remained broadly unchanged now for the last quarter, and also points to market consistency in most areas that again flies in the face of some who might suggest that the market is in negative territory. “Quite to the contrary, all of these indicators would point to a calm, steady and functioning UK market, with perhaps those consumers who did decide to ‘wait and see’ in the lead up the election now deciding to simply get on with their move, adding yet more motivated movers into the mix in most parts of the UK.” Overall, the West Midlands has experienced the greatest price rises in England and Wales during 2017, according to the Rightmove survey, with prices 6.1% higher than last year. The East Midlands has been the next best performer with price growth of 4.9% followed by Yorkshire and Humber at 4.1%. Greater London has had the weakest growth of the regions outside central London over the past 12 months with 0.9%, followed by the north-east with 1.6%. For a further chat regarding the property market please do contact one of our property experts today. Recently added to the sales market these properties make the ideal investment for your cash. Finding investment opportunities is all about the potential return for your initial outlay and the below offer a great yield level. Property 1 - Gresley Drive, Braintree (£225,000 - Mackay Property) Located within a short walk from Braintree station this modern, three bedroom terrace house offers sitting room, kitchen/diner and cloakroom on the ground floor and master bedroom with en suite, two further bedrooms and bathroom to the first floor. With parking and a good size garden this house is ideal for families and especially for those with London commuters. With a purchase price in the region of £225,000 and a rent achievable figure of roughly £1000pcm this property offers a potential yield of well in excess of 5%. http://www.rightmove.co.uk/property-for-sale/property-59101258.html Property 2 – Peter Taylor Avenue, Bocking (£175,000 – Taylor Milburn) Located on the popular new development in Bocking, Braintree this modern, two bedroom apartment offers large living/dining room, separate kitchen, two bedrooms and bathroom. The property also has allocated parking and a gated communal garden. The area is highly sought after with it offering the best of both worlds with lovely country walks and easy access into Braintree town centre. With a purchase price of roughly £175,000 and a rental figure of in the region of £775 again this apartment offers a yield over 5%. http://www.rightmove.co.uk/property-for-sale/property-67590542.html Property 3 – Kensington Road, Colchester (£320,000 – Knight West) This brand new, four bedroom town house located within a short walk of Colchester’s bustling town centre is the perfect family home. Its stunning, modern feel throughout makes this house a beautiful place to live. Set over three floors the house comprises ground floor kitchen, living space and cloakroom, first floor two bedrooms and family bathroom and second floor master bedroom with en suite and fourth bedroom. With the sale price of £320,000 and a rent achievable figure of in the region of £1400pcm this property offers in excess of 5% gross yield. http://www.rightmove.co.uk/property-for-sale/property-60822001.html With financial experts also forecasting the property market to increase by roughly 2% nationally over the next 12 months there is no better investment than property. For further information regarding the sales and lettings markets call and speak to our property experts today. Ever Popular New Town… With New Town, Colchester as popular as ever with applicant’s due to its array of properties, proximity to town and value for money landlords can cash in on their investment. At Michaels we currently have a sleek, modern three bedroom house on Canterbury Road to rent. Ideal for family life the property offers three good size bedrooms and stunning modern kitchen and bathroom. The property also has an attractive and easily maintained rear garden. The property has been remodeled so that there is a WC on the first floor whilst the family bathroom is situated downstairs. The property is a short walk from Colchester’s town center and station and is also within a short walk of local schools, shops and amenities. http://www.rightmove.co.uk/property-to-rent/property-67095605.html With the area being popular with renters, landlords and investors target the area with property prices offering fantastic value and good rental yields. This beautifully presented three bedroom house in the area would make a tidy investment for anyone looking to increase their portfolio. In the current rental market the property would achieve in the region of £1000pcm achieving a gross yield of around 5% depending on the purchase price. The property is on the market with another agent locally. http://www.rightmove.co.uk/property-for-sale/property-59976667.html Another property ideal for investors is this three bedroom end terrace house in Charles Street. The property is in decent condition and apart from a little tidy around would be ready for tenants to move into. The house would currently achieve around £850pcm on the rental market therefore giving a yield of in excess of 5% depending on the price of purchase. Again, this property is on with another local agent. http://www.rightmove.co.uk/property-for-sale/property-58808419.html For further information on the opportunities in the new town area or our services please do not hesitate to contact us today. Investors wanted… The opportunity has arisen for an investor to purchase this ideally located one bedroom property close to the university and an ideal rental property for a student. The property comprises Lounge, Kitchen, Bedroom and Bathroom and also includes an attractive communal garden, garage and an allocated parking space. This property also has the added advantage of a sitting tenant in contract until September currently paying £475pcm. Even at £475 this investment still offers an attractive yield over in excess of 5%. In current rental market conditions, you would expect to achieve in the region of £550pcm which then increases the gross yield to around 6%, which makes this property a must for investors. Students are always looking for properties close to the university and mature students are often attracted to one bedroom properties rather than sharing so as they get their own space. Homes in this area always rent quickly and with the advantage of income from the sitting tenant as soon as you complete can you really afford to turn this opportunity down? For more information contact the Michaels team today. At Michaels property consultants, we are lucky to have professional tenants registered waiting for us to be instructed on properties across our three offices. As a letting agent, it is key to manage your applicants to let properties quickly and effectively and knowing your applicants is very important and will help you let more properties. The lettings market is as competitive as ever and landlords using multiple agents is more popular than ever before. When competing against another agent having an up to date applicant list is vital, if you are waiting for applicants to call you, you are already behind the eight ball. In an ideal world, you would already have 5/6 viewers on the property before it even goes live. Recently all three of our offices have been instructed and let properties within 48 hours. Our Braintree office have let a four bedroom house in the ever popular village of Coggeshall. Unfortunately, we have several families who missed out on the property and are therefore still searching for something locally. This could be good news for you as a landlord if you have property to let in the area. Our Colchester branch have let a two bedroom chalet bungalow in the desirable village of West Bergholt just outside of Colchester. Again, this property proved very popular with viewers with some applicants missing out. These applicants are still looking for something in the villages surrounding Colchester and therefore we have applicants ready to go if you have suitable property. Meanwhile our Wivenhoe branch have let a delightful two bedroom bungalow in the village. Wivenhoe is a very desirable location with many applicants waiting for new properties to come to the market all the time. With us being one of only a few agents in the village we always have local tenants ready to move. At Michaels we pride ourselves on offering a personal and comprehensive service to both our landlords and tenants. We can offer anything from a simple let only service to our extensive fully managed service. With offices in Colchester, Wivenhoe and Braintree we are well placed to support you with your properties across the north of Essex. We are always in need of more properties for our growing list of professional applicants. For any further information or for advice on your property please call Michaels today. We have just taken onto the market a perfect investment opportunity in Braintree, close to the station. This 2 bedroom apartment on Holden Close, Braintree is coming onto the market at £169,995 and offers a potential gross yield of over 5% with current rent achievable being in the region of £725-£750pcm. You may want to give the property a lick of paint to freshen up but apart from small cosmetic updates the property is ready to go! If you mention this blog post when enquiring about the property and use us to manage it once purchased we will offer half price management for the first 6 months! This is a must for investors, do not miss out! Call Michaels in Braintree today on 01376 337400 to arrange a viewing today! Stylish, contemporary living on the waterfront… At Michaels, we are proud to have taken on this stunning new build property at the Waterfront Promenade in Rowhedge. The House is set over three floors and comprises ground floor kitchen/diner, utility, downstairs cloakroom, and separate living space. On the first floor, there are two double bedrooms and family bathroom and upstairs again to the second floor you will find the master suite comprising large double bedroom, en suite shower room and dressing room area. Rowhedge Wharf is a gorgeous waterfront collection of 2 bedroom apartments and 2, 3, 4 and 5 bedroom houses for sale in the village of Rowhedge. Set above the banks of the River Colne, the new homes on this exclusive development benefit from a unique landscape setting and beautiful river views towards Wivenhoe. The range of homes at Rowhedge Wharf is designed to accommodate a variety of lifestyles. From 2 bedroom apartments and houses, perfect for first time buyers, to spacious 3, 4 and 5 bedroom homes, ideal for growing families and downsizers looking for an exceptional quality of life. The architecture of the homes is inspired by the local heritage with some modern influences, ensuring the development fits in perfectly with its surroundings. Situated on the former quay, Rowhedge Wharf is surrounded by natural beauty and benefits from spectacular long distance views of the River Colne, Roman River and the charming village of Wivenhoe. Accessed by a tree lined avenue, the development gives the impression of an exclusive community yet is directly connected to Rowhedge’s amenities by footpath. Investment Opportunity for landlords – The vast selection of properties at Rowhedge Wharf make good investment opportunities for landlords. The property we have taken onto the market (the Killerton) offers a potential gross yield of over 4.5%. With a sale price of roughly £335,000 and with rent easily achievable at £1295pcm the figures for these stunning new homes really do stack up. The Ainsworth, 4 bedroom house is being sold for roughly £339,000. The price is only slightly higher than the Killerton due to the fact that the Ainsworth doesn’t have a river view. The room sizes in the Ainsworth are slightly smaller than the Killerton, however you would still achieve around £1395pcm giving you a potential gross yield of almost 5%. If you have a slightly smaller budget the 2 bedroom Scotney could be for you. This 2 bedroom coach house includes two double bedrooms, open plan kitchen/living space and family bathroom with the added bonus of a garage. The properties are being sold at £214,995 and would achieve around £895pcm again meaning a near 5% gross yield. As you can see there is variety of properties available at Rowhedge Wharf all offering good investment opportunities depending on your budget. For more information on any of these properties please either contact Bloor Homes site office or for advice and guidance on the investment potential of the properties please contact Michaels property consultants.